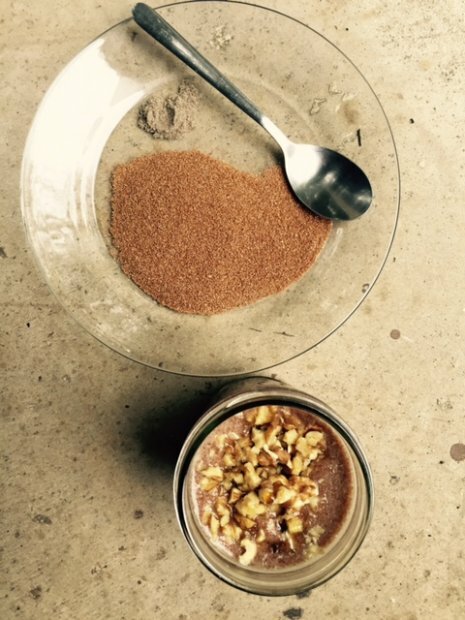 Could teff be the reason Ethiopian runners are frequent Marathon champions? Some runners think so, prompting us to take a good look at the facts. In April 2016, Ethiopian runners took ﬁve of the top six spots in the Boston Marathon here in our home town. This year, Ethiopians won marathons in Rome, Los Angeles and along China’s Yellow River, among others. As always, the question arises: What makes marathoners from this part of the world so successful? Some runners have decided the answer might be teﬀ, a tiny gluten-free grain that’s a staple throughout Ethiopia. Since teﬀ shares November’s Grain of the Month spotlight with millet (which Caroline blogged about last week), let’s see if these runners might be on the right track (pun intended) with teﬀ. In Ethiopia and neighboring Eritrea, teﬀ is used to make the spongy fermented injera bread eaten with most meals. 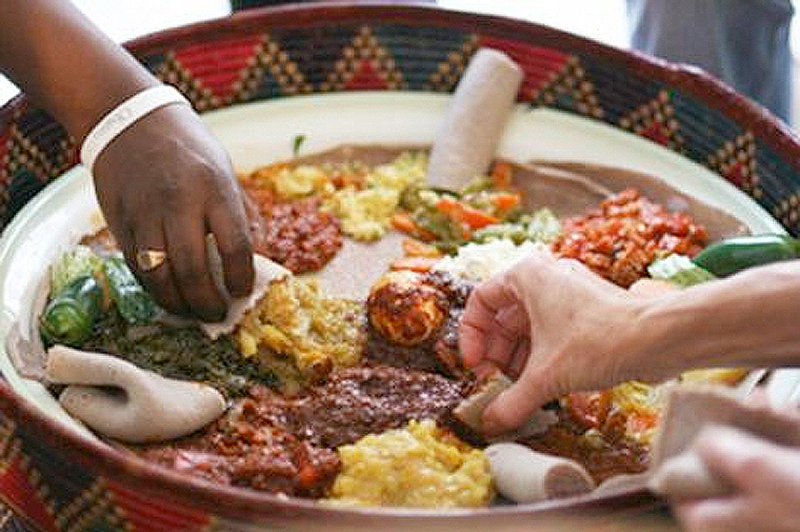 Injera has sometimes been described as an “edible tablecloth,” since stews are often ladled out onto rounds of injera placed directly on the table. Chunks of another round of injera are then torn oﬀ and used as “spoons” to scoop up the stew; when the stew is gone, the base round of bread, now soaked with delicious juices, is consumed. Why did runners latch onto teﬀ as a possible “runner’s superfood,” when surely Ethiopians eat many other foods? Athletes know that red blood cells carry oxygen and that iron helps keep red blood cells working optimally (essential for aerobic exercise). As grains go, teﬀ is high in iron. One cup of cooked teﬀ provides 5 mg of iron – about the same amount as in 7 ounces of cooked steak, ¾ cup of cooked spinach, or 1 ¼ cups of cooked white beans such as Navy beans. We’re not suggesting that gobbling down teﬀ will turn you into a marathon champion. Here at Oldways we always focus on the inter-related beneﬁts of an overall healthy diet rather than any one food (like teﬀ) or one nutrient (like iron). Our basic advice remains the same as always. Eat a wide variety of largely plant-based foods, as unprocessed as possible, and you can’t easily go wrong. That said, giving teﬀ a try might just increase the variety in your overall diet. Check out some of the teﬀ recipes here on our site, like Maple Walnut Teﬀ Porridge; Overnight Waﬄes with Teﬀ, Coriander and Caramelized Pineapples; or Teﬀ Crepes with Sautéed Spinach and Mushrooms. You can also ﬁnd ﬁve dozen more great teﬀ recipes on The Teﬀ Company’s website. This is great information to share in my nutrition class!